In preparation for not only the interview but for your career in a profession where communication is key! Here are 5 books I recommend to facilitate better communication, which always begins with a better understanding of human nature—the common theme to all of these books. This resource is especially helpful to understand the anatomy of the interview process and its inherently sneaky process—this book explains why it’s designed to be this way. The title is misleading! This book is another one of my favorites for human typology. I used its wisdom for all my years in patient care. Make it work for you in an interview! Yes, this book has a strange title, but I love this book! Know yourself and especially, understand how your personality typology differs from others—an important skill and perspective to apply during an interview exchange. 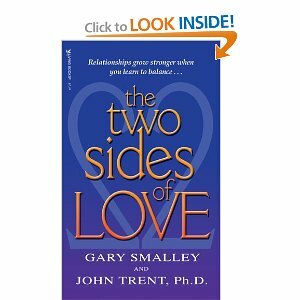 Smalley and Trent have written an easy-to-understand book about human typology. Using the character traits of four different animals, they describe relative differences inherent in the four fundamental human personality types. Golden Retriever: Patient, cooperative, collaborative, slow to change, reserves expression of opinions, perseveres, loyal. Can be loyal to a fault; can be agreeable to a fault; can be co-dependent. They don’t tolerate insensitivity and impatience. They make great social workers and teachers. Lion: Decision makers, competitive, direct, expresses opinions readily, administrative, great delegation. Can be too direct and controlling; can be a steamroller; can be stubborn and impatient. They can’t stand inefficiency or indecision. The make great CEOs and contractors. Beaver: Keeps feelings private, formal, proper, goes with agenda, speaks in specifics, conversation stays on subject, inventive, accurate, deliberate, “no wine before it’s time kind of people”.” Tend to question too much; tend to be critical. Suffer with perfection paralysis. They don’t tolerate disorganization and unpredictability. Make great engineers, teachers and inventors. Otter: Shows feelings, relaxed, warm and enthusiastic. Emphasizes main ideas, “big picture” people, goes with the flow, conversing includes many digressions, opinion-oriented, animated, initiates and accepts physical contact, persuasive, social. Tends to talk too much; can be too spontaneous; can be easily bored and superficial. They don’t tolerate routine and perfectionism. They make great motivators and entertainers. Important: This is the natural “bent” of your temperament, not the way you act all the time. It is very common to be some of the “box” adjacent to or neighboring you but theoretically impossible to have a character bent which is your polar opposite (diagonally across the box). Beaver: “Fifteen minutes, I only get fifteen minutes? I can’t possibly produce a toy soldier in just fifteen minutes.” He’s already started molding the clay into tiny little epaulettes to go on the sleeves and will probably not get past the authentically replicated brass buttons…. Golden Retriever: He can’t possibly make a toy soldier because he’s worrying. He’s running around making sure everyone is OK, happy, comfortable and has what they need to complete the task. Key Point: A well balanced person can “put on” and operate in any one of these temperaments given the task requires. He or she can adapt his temperament to fit the circumstances. For example, it would be awful if when confronted with a grieving friend, to act like a Lion and give cold advice rather than like a Golden Retriever and lend a sympathetic ear. Reciprocally, when confronted with a situation requiring urgent decision making, it would be a mistake not to respond like a Lion with swift and fearless decision-making action. This theory has great application to the interview process. As soon as you can in the encounter, figure out the typology of your interview panelists, and respond in a manner that facilitates communication. By nature, most faculty are Beavers. They favor detailed, slow, methodical interaction with interviewing applicants. A Lion? If you get a lion as an interviewer, be direct with sustained, direct eye contact and with direct answers. An Otter? Smile and be expressive but not overly so because it is not appropriate given the formality of the interview process. A Golden Retriever? Soak up their natural inclination to identify with your feelings and their loyal nature to be in your corner during the interview process. Words are abstract and ambiguous, making their message potentially confusing. On the contrary, emotions are more universal. When relying solely upon words and even when using the most precise language, communication can miss the mark. As a remedy to this problem, the “Language of Love” teaches a form of communication called “word pictures.” For example, let’s look at the phrase “anxious and nervous” and let’s say I am trying to have my listener understand that I am hand-wringing worried about the outcome of my interview tomorrow. Instead of saying “I am anxious and worried” which can be anywhere on the spectrum, I’d choose to use the technique of word picturing and say “I’m as nervous as a cat on a hot tin roof” (well, I might way that but I am sure you’d come up with a different expression). By using this technique, you create a picture which directly engages their emotions and conveys your feelings. You take your listener where you want them to go emotionally with a feeling rather than relying on a possibly ambiguous and inherently abstract statement made with words. The book teaches this technique. One of the best known motivational books in history: Since it was released in 1936, How to Win Friends and Influence People has sold more than 15 million copies. Proven advice for success in life: Carnegie believed that most successes come from an ability to communicate effectively rather than from brilliant insights. His book teaches these skills by showing readers how to value others and make them feel appreciated rather than manipulated. This is my favorite book to recommend for better understanding of the Myers-Briggs (MBTI) profile. 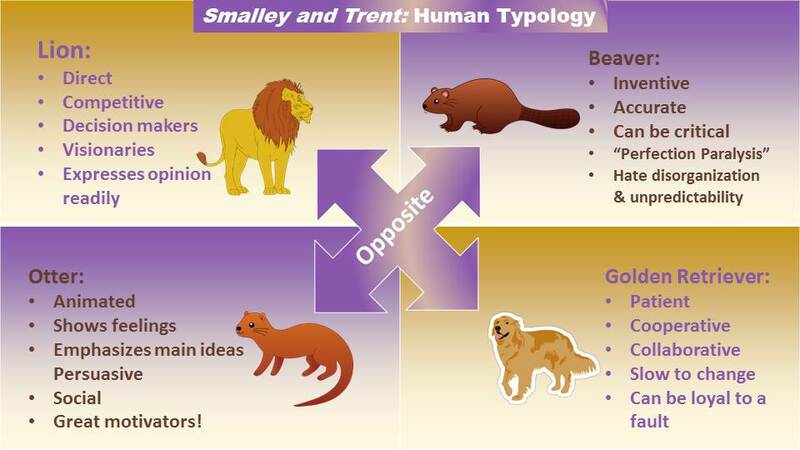 This book helps you delve a bit deeper into human typology–beyond the Lion, Beaver, Otter, and Golden Retreiver of Smalley and Trent’s book–and its logic is more accepted in academe. It’s only when you understand your own personality can you then understand the inherent bias in your own perception of yourself and you decision making processes. You accept the premise that you are different from those around you. Once you understand your own unique temperament, you begin to perceive how you impact others. You learn to speculate about another’s personality type and adapt your communication style to relate better to your intended audience or listener. This will be an important skill when it comes time to see patients but especially important when you come face to face with an interviewing faculty member. For instructions on how to take the test: Access Myers-Briggs Test. All books are available on Amazon.com. Make sure to check out the “Used” books section for the absolute best prices.